By LUDWIG VON KOOPA - Unless “you” refers to a Japanese reader. And hey, if you're in Japan, let me know. Everyone seems fascinated by localisation tales, with an anonymous commenter and I having a nice discussion about people freaking out about Nintendo of America's localisation arm. People seem to take for granted the games that do manage to come over out of Japan, and maybe people don't realise that not every game made in America makes its way to Japan, either. Basically, Game Freak only had the resources to make Gold and Silver but didn't have the resources to do localisation work or prep the game for localisation. Iwata stepped up and did “source code analysis” — as a company president for a game that wasn't within his jurisdiction, mind you — and took the steps to “map out” how to do the localisation steps. Then another Nintendo guy basically spent all day talking to Iwata about the plan, and the localisation started that way done by Nintendo while Game Freak's resources could focus on the sequels. Nintendo I guess wouldn't have bothered had Iwata not done that mapping. Satoru Iwata bringing Pokémon Red and Pokémon Blue DIRECTLY to you. ...Indirectly. According to the interview (from what I can tell with a crappy Google Translation), Iwata was also responsible for save features regarding Pokémon Stadium, which was a big programming C-language challenge. Like, Iwata did that himself, apparently. Similar things happened with EarthBound. Satoru Iwata was a genius programmer AND a genius debugger, and resource-optimiser and problem-solver. And a great manager and intuitive communicator of a vision. That's... the gist of the interview. Let's not forget: Pokémon Red/Blue/Yellow are coming out on the Nintendo eShop at the end of this February! Lots of people are weirdly excited for it. We can have its sales backed by this news in an outpouring of Iwata support. I will say, I was a little... scared to see Satoru Iwata's name as “EXECUTIVE PRODUCER” in Pokémon Super Mystery Dungeon's credits. I guess it WAS made before he died, wasn't it? If only news of this Iwata-involvement broke earlier in December. 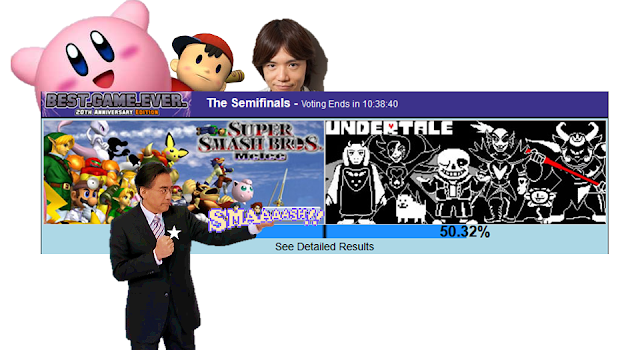 Then my emotionally-exploitative picture associating Satoru Iwata with Super Smash Bros. Melee could've been used for Pokémon instead, and it'd win. Whatever. The point is that Satoru Iwata made your childhood happen. Thank him again today, and never forget what he's done for all of us. Oh, one other thing. The point is not that Iwata is the best programmer ever. There are tons of great programmers in the videogame industry. The reason everyone makes a big deal out of it is that he's a programming president in an industry where a lot of the heads of companies are businessmen, not industry veterans from the trenches. Let's not forget that there are thousands of “lowly” programmers who solve problems in the game industry each and every day and will never get the recognition that Satoru Iwata receives. Ludwig still doesn't care about RBY right now, but he recognises that without Iwata's help, there wouldn't be an RBY for him to care about, or it'd be as obscure a series as [insert your favourite Japan-only game here]. And without that, there wouldn't be a franchise. As a celebration of RBY, even Splatoon is paying tribute. Though Ludwig doesn't like to admit it, Pokémon Blue was what really got Ludwig to be the gamer he is today. "If only news of this Iwata-involvement broke earlier in December." No, this didn't come out until the end of December. You read how he saved Gold/Silver. Hmm... oh, that's right! He came up with a new way to handle them that allowed enough room to fit Kanto on the cartridges! I said this in the article already c'mon. Sounds terrifying. Best of luck & skill. Advance Wars almost didn't make it either but someone from the localization division saw it and thought it would be great for people outside Japan as well and ironically it was the Western world who loved it more than its own native country. So many close calls with many of our beloved franchises never making it here. It's an important reminder that we're not in any post-export-decision-making world. To this day, close calls and bad decisions still happen in today's “enlightened” gaming publishers. Hey you saw his name in the credits of Pokemon Super Mystery Dungeon. Did you finish all postgame story related post content afterwards? What did you think of the game? I haven't finished all postgame story-related content. Hopefully Nintendo can find folks who are good enough, then. 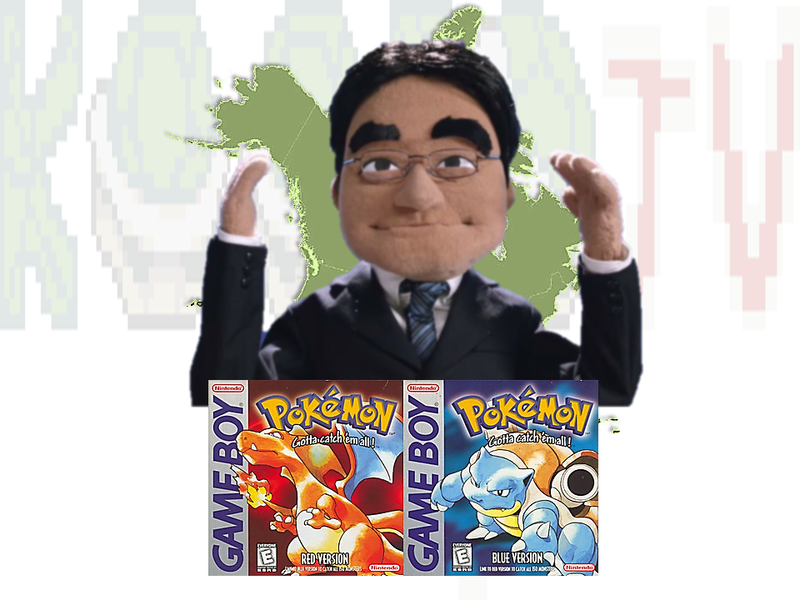 Yup, without Iwata, the entire Pokémon franchise would be Japan exclusive. If that was the case, Nintendo today would look very, very different. The Game Boy would've never sold as much as it would, and Nintendo probably wouldn't be the portable king that it is now. That means the GBA, DS, 3DS would all sell a ton less and maybe not be made at all. I think if Yo-kai Watch eventually got localised, they'd eventually get Pokémon to America. Maybe we'd get it starting with FireRed and LeafGreen.